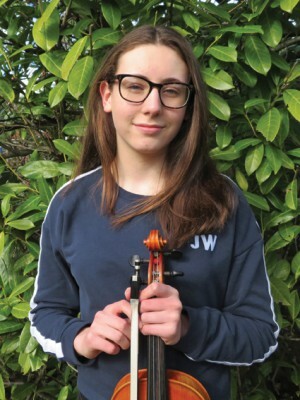 Violinist Megan Grainger, aged 16 and a pupil at King Edward VI Five Ways School, is taking part in her second tour with the NYO, which brings its Voice of Americas programme to Birmingham on Sunday April 14. The concert starts at 3pm and includes music by Copland and Gershwin. Tickets are £5 for under 25s. Megan remembers being amazed by the NYO in Symphony Hall when she was 10 (then a pupil at Alvechurch Middle School), which inspired her to practice hard and eventually audition. “I want young people to know that thanks to the NYO Inspire programme, following your dreams is now much more achievable for people from all backgrounds and I would encourage all aspiring musicians to get involved,” she says.